Felodipine, a calcium channel blocker has been widely used for the treatment of hypertension and cardiovascular diseases; but the frequent dosing is needed for its poor solubility and variable bioavailability. In present study an attempt has been made to overcome the problems through nanoparticulate delivery system using poly (D, L-lactic-co-glycolic acid) polymer keeping in the view to get better sustainability of the formulation. The nanoparticles were prepared by single emulsion solvent evaporation technique and the physico-chemical characterization of prepared nanoparticles confirmed the particles were nanosize range with smooth and spherical morphology. Further, the compatibility of drug-polymer combination was analyzed by FTIR and DSC study. The in vitro drug release study of PLGA nanoparticles showed longer duration of drug release with reduced burst release compared with pure felodipine. The in vitro drug release data were fitted with various mathematical models to establish the drug release mechanism from the nanoparticles and found to follow mixed order kinetics. The in vivo toxicity study in albino mice showed no noticeable change in biochemical parameters and histopathology of organs. Hence, the developed felodipine nanoparticles were prepared, characterized and could possibly be advantageous for prolonged drug release and improving the antihypertensive effect. Hypertension is considered to be a major risk factor in the development of cardiovascular diseases (CVD), a leading cause of death worldwide. Hypertension is common in both developed and low- and middle-income countries . The recent study reveals that half of the treated patients are not able to achieve desired blood pressure targets ,. It has become a challenge to maintain the blood pressure for long time that can significantly reduce the risk of morbidity and mortality . There are number of medicines used for the treatment of high blood pressure and patients might need to take their medicine for several years. Calcium channel blockers (CCBs) are broadly used for the treatment of systemic arterial hypertension. The function of CCBs is to inhibit voltage dependent L- type calcium channels in vascular smooth muscle and heart. The antihypertensive effect of CCBs is due to arterial dilatation that causes smooth muscle relaxation. Felodipine, a dihydropyridine calcium channel blocker, has been widely used for the treatment of hypertension . Clinical study revealed that felodipine has dose dependant activity for reduction of blood pressure and has antihypertensive activity similar to other antihypertensive drugs including beta blockers and angiotensin-converting enzyme (ACE) inhibitors. However, the felodipine is extensively metabolised in the gut and liver and is excreted almost entirely as metabolites . Felodipine is a lipophilic crystalline powder and practically insoluble (BCS Class-II) in water (solubility-0.5 mg/l) . As felodipine has poor and variable bioavailability, the multiple daily dosing is needed. The multiple daily dosing not only has the issues with fluctuation of plasma drug concentration but may also lead to poor patients’ adherence. The bioavailability of poorly water soluble drugs is dissolution rate dependant. In order to improve the bioavailability various approaches were suggested, including solubilisation, use of co-solvents, salt formation, micronization and complexation with cyclodextrins ,. However, more amounts of additives are required for these techniques limiting their use from the safety perspective. Another effective way to enhance the bioavailability of the drug is by making the particle size within the nano-meter range. The reduced particle size into nanometre size leads to improve dissolution rate because of increased surface area . The suitable stabilizing agents are used to prevent the nano-sized particle aggregation. However, if the drug is coated with suitable polymer the crystalline nature of the drug can possibly be prevented and can be stabilized over long period of time. In recent years, biodegradable polymeric nanoparticles have been used to improve the solubility and dissolution rate of both hydrophilic and hydrophobic drugs. The nanoparticles attracted considerable attention as potential drug delivery devices in view of their applications as sustained release of drugs, their ability to target particular organs/tissues, which helps in sustained oral drug delivery beneficial for the patients ,. The sub-cellular size of the nanoparticles can improve the stability and also allows relatively higher intracellular uptake of drug than other particulate systems ,. The widely used methods for nanoparticles preparation are solvent evaporation, high pressure homogenization , nano-precipitation and emulsion diffusion etc. ,. Poly (D, L-lactic-co-glycolic acid) or PLGA is one of the most popular biodegradable and non toxic polymers used for preparation of microparticles and nanoparticles ,. PLGA is randomly hydrolyzed into their biocompatible metabolite, lactic acid and glycolic acid and eliminated from the body as carbon dioxide and water . PLGA is widely used for the manufacture of implants, internal sutures and also used for controlled and targeted drug delivery systems . The changes in tissue distribution and pharmacokinetic profile were observed, when the drug was incorporated into PLGA nanoparticulate system. As the particle sizes of the nanoparticles are small enough they are expected to reach angiogenetic area and circulate through the capillaries ,. These may lead to improve therapeutic efficacy and patient compliance. 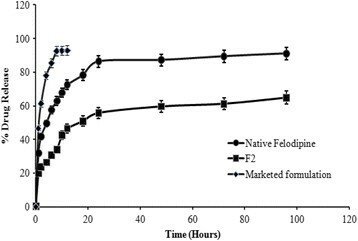 In the present study, felodipine loaded PLGA nanoparticles were prepared, characterized and evaluated for in vivo toxicity study in animal model. Felodipine was a kind gift from Cadila Healthcare Limited (Ahmedabad, India). Poly (D, L-lactic-co-glycolic) acid (PLGA 50:50) (Mw = 18,000) was procured from Sigma Aldrich. Lutrol® F-68 (Poloxamer 188) was purchased from SD Fine Chemicals. Distilled- deionized water was prepared with Milli-Q plus System (Elix 10, Millipore corp. India). All other chemicals used were of the highest available grade. The felodipine loaded nanoparticles were prepared by single emulsion solvent evaporation in accordance with method reported with slight modification . Briefly, 100 mg of PLGA (copolymer ratio 50:50) polymer and weighed quantity of felodipine (equivalent to 20% w/w dry weight of polymers) was dissolved in acetone at room temperature to make clear solution. The solution was mixed with 25 ml of aqueous phase containing 1% (w/v) of poloxamer-188 with a constant flow rate of 1 ml/min. The mixture was then homogenized using a probe homogenizer (VIRTIS, Cyclone IQ, USA), at constant agitation speeds of 15000 rpm in an ice bath to form oil-in-water (O/W) emulsion. Then the emulsion was kept at room temperature under gentle stirring for 24 h to evaporate the organic solvent. The prepared nanosuspension was then centrifuged at 30,000 rpm, for 15 min (Sorvall Ultracentrifuge, USA). The pellets were collected and washed with double distilled water to remove any unbound poloxamer-188 and free drugs. Finally, the pallets were freeze-dried (Freezone 6lt, Labconco Corp., MO) to get powdered nanoparticles and kept in freeze for further use. Dynamic laser scattering (DLS) was used to measure the hydrodynamic diameter (d nm) and Laser Doppler Anemometry (LDA) was used to determine zeta potential (mV). The DLS and LDA were analyzed using Zetasizer 3000 (Malvern Instruments, Malvern, UK). The particle size and zeta potential was determined by using a dilute suspension of nanoparticles (100 μg/ml) prepared in double distilled water and sonicated on an ice bath for 30 seconds. For each batch of sample, the mean diameter ± standard deviations of three determinations were calculated under identical conditions. The polydispersity index (PDI) was also measured to determine particle size distribution. The entrapment efficiency (EE) and loading capacity (LC) of felodipine loaded nanoparticles were measured by reverse phase High Performance Liquid Chromatography (RP-HPLC) method  with slight modification. Briefly, 1 mg/ml drug loaded nanoparticle solution was prepared in methanol and 20 μL of the sample was injected manually to HPLC equipped with Shimadzu LC-20 AD PLC pump and SPD-M20A PDA detector. The output signal was monitored and integrated using Shimadzu CLASS-VP Version 6.12 SP1 software. The chromatographic separation was carried out using analytical column Phenomenex C18 (150 × 4.6 mm, 5 μ). The measurements were made at 240 nm maintaining the flow rate at 1.0 mL/min and ambient condition using thermostat. The amount of the drug present in the sample was determined from the peak area of the chromatogram correlated with the standard curve. Infrared spectroscopy study was carried out using FT-IR spectrophotometer (Perkin Elmer, FT-IR Spectrometer, SPECTRUM RX I, USA) and the spectrum was recorded in the range of 4000–400 cm−1 with resolution of 2 cm−1. Samples were mixed separately with potassium bromide (200–400 mg) and compressed by applying pressure of 200 kg/cm2 for 2 min in hydraulic press to prepare the pellets. The pellets of the native drug, polymer and the nanoparticles were analysed by placing it on the light path and the spectrum was obtained. DSC is a thermo-analytical technique used to observe fusion and crystallization events of the drug in the prepared nanoparticles. Thermogram was obtained by the DSC analysis (DSC-60, Shimadzu, Japan). Approximately, weighed 2 mg of native drug, polymer and nanoparticles were placed separately into sealed standard aluminium pan and scanned between 25°C to 300°C with heating rate of 10°C/minute under nitrogen atmosphere. An empty aluminium pan considered as reference. The shape and surface morphology of prepared nanoparticles were examined by scanning electron microscopy (SEM) (ZEISS EVO18, Carl Zeiss SMT GmbH, Germany). Moisture free lyophilised powdered samples were consigned on aluminium stubs using adhesive tapes and coated with gold using sputter coater and photomicrographs were taken at an acceleration voltage of 10–30 kV. Atomic force microscopy (AFM) studies were carried out to characterize the surface morphology of the drug loaded nanoparticles. The suspension of freeze dried powder was prepared with milli-Q water and dried in air on a clean glass surface for overnight. The observation was performed with AFM (JPK NanoWizard II, JPK instrument, Berlin, Germany) with silicon probes with pyramidal cantilever having force constant of 0.2 N/m. The scan speed of 2 Hz and 312 kHz resonant frequency was used to obtain the images . The in vitro drug release study was carried out by using rotating basket method with some modification ,. The felodipine loaded nanoparticles (containing 5 mg felodipine) were suspended in glass bottles containing 100 ml of phosphate buffer pH 6.8. Glass bottles were placed in beaker and kept in incubator shaker (50 rpm) throughout the study, with temperature adjusted to 37°C. At specified time interval 10 ml samples were withdrawn and centrifuged at 12,000 rpm for 30 min. The precipitates were resuspended with 10 ml of fresh phosphate buffer and added to the glass bottle and supernatants were collected and analyzed by RP-HPLC. All the measurements were carried out in triplicate. The drug release mechanism from the nanoparticulate systems were analyzed by various mathematical models. The drug release data were fitted with mathematical models including zero order kinetic [Eq. (1)], first order kinetic [Eq. (2)], Higuchi kinetic [Eq. (3)] and Korsmeyer-Peppas model [Eq. (4)]. The plots were made: Qt vs. t (zero order kinetic), ln (Q0 - Qt) vs. t (first order kinetic) and Qt vs. t1/2 (Higuchi model), where Qt is the percentage of drug release at time t, Q0 is the initial amount of drug present in the formulation and K0, Kt and Kh are the constants of the equations. The first 60% drug release was fitted in Korsmeyer-Peppas model, where Mt/Mα are the fraction of drug release at time t, Kp is the rate constant and “n” is the release exponent. The value of “n” is calculated from the slop of the plot of log of fraction of drug released (Mt/Mα) vs. log of time to characterize the different release mechanism ,. Wistar albino mice were procured from Central Animal House, Rajah Muthiah Medical College, Annamalai University, India and housed in the Institutional animal house under standard environmental conditions (22 ± 3°C, 55 ± 5% humidity and 12 h/12 h dark/light cycle) and maintained with free access to standard diet and water ad libitum. All animal experimentations were executed in compliance with the guidelines of the Committee for the Purpose of Control and Supervision of Experimental Animals (CPCSEA), New Delhi, Government of India. The animals were randomly selected and assigned to following four test groups (6 mice in each group) namely Group I (Control groups, treated with normal saline), Group II, III, IV and V (Test groups, treated with felodipine loaded nanoparticles equivalent to 60, 120, 240 and 480 mg/kg BW of felodipine in distilled water). The respective doses of felodipine loaded nanoparticles were freshly prepared and administered by oral gavaged in a single dose. Acute toxicity was measured by mortality and survival time and also by clinical picture of intoxication and behavioural reactions. Animals on study were observed for any adverse reaction, like changes of body weight, condition of eye, nose and motor activity. On completion of the treatment, the animals were bled via the retro orbital plexus and sacrificed by cervical dislocation and necropsied to facilitate gross pathological examination of organs, viz. size and appearance of heart, lungs, liver, spleen and kidney . The animals were sacrificed at the end of the 14 days and the organic tissues of heart, liver, spleen and kidneys were collected and fixed in 10% formalin then subjected to histopathological examination. The tissues of organ samples were embedded in paraffin blocks, then sliced and placed onto glass slides. After histological staining the slides were observed and photos were taken using topical microscope and histopathological examination performed . The blood samples were collected at 14th day and centrifuged at 4000 rpm for 5 min. The serum was kept at −20°C until analyzed. The levels of serum glutamate oxaloacetic transaminase (SGOT), serum alkaline phosphate (SAP), serum glutamic pyruvic transaminase (SGPT), serum creatinine, serum bilirubin and proteins were analyzed with automatic analytical instrument (Hitachi, Japan) ,. All values are expressed as mean ± SD (standard deviation). Significant statistical differences were analyzed by one-way analysis of variance (ANOVA). In all comparisons, the difference was considered to be statistically significant at p < 0.05 (*). The mean particle sizes of the drug loaded PLGA nanoparticles were measured by Photon Correlation Spectroscopy (PCS). The sizes of the nanoparticles prepared with three different ratios of drug and polymer (1:2, 1:3 and 1:4) were in the nano range. The size distributions were monodispersed (0.216 to 0.442) in all the nanoparticle formulations (Figure 1). No remarkable differences were observed between the sizes of nanoparticles obtained with different ratio of drug and polymer (Table 1). The zeta potential of the drug loaded nanoparticles exhibited negative values . Mean particle size distributions of the felodipine loaded nanoparticles (F2) measured by Dynamic laser light scattering (data as mean ± S.D; n = 6). EE % w w = Weight of the drug in nanoparticle Weight of the polymer and drug added × 100 . DL % w w = Weight of the drug in nanoparticle Weight of the polymer and drug added × 100 . The surface morphology of the nanoparticles was measured using scanning electron microscopy. The shape of the particles as measured by SEM analysis revealed almost spherical in shape with relative smooth surface for all the formulations (Figure 2a). The AFM investigations showed the disc like shape of the particles (Figure 2b). The particle sizes obtained by SEM study were relatively smaller than that of the particle sizes obtained by Zetasizer . Surface morphological properties of nanoparticles (a) Scanning electron microscopy (SEM) photograph felodipine loaded nanoparticles (bar = 2 μm), (b) Atomic Force microscopy (AFM) images of felodipine loaded nanoparticle. The entrapment efficiency and drug loading of the nanoparticles depend on the polymer, drug, surfactant etc. The entrapment efficiency becomes high when both drug and polymer shows more affinity to the same solvent. On the other hand the low entrapment is due to the high affinity of drug and polymer to the different solvents. Drug loading and entrapment efficiency were affected by the ratio of drug and polymer used in the formulation . Therefore, we prepared three different formulations of the felodipine loaded nanoparticles taking three different ratios of drug- polymer. The nanoparticle formulation (F2) having drug- polymer ratio of 1:3, shows the high entrapment efficiency of 85.28% than the other two ratio 1:2 (68.45%) and 1:4 (83.23%) (Table 1). The FTIR spectral data were used to confirm chemical stability of felodipine in polymeric nanoparticles. FTIR spectra of pure felodipine, polymer and felodipine loaded nanoparticles are shown in (Figure 3). The interaction study between drug and polymer was evaluated. The absence of distinctive spectra in the felodipine loaded nanoparticles indicates that felodipine and PLGA was not involved in intermolecular interaction. 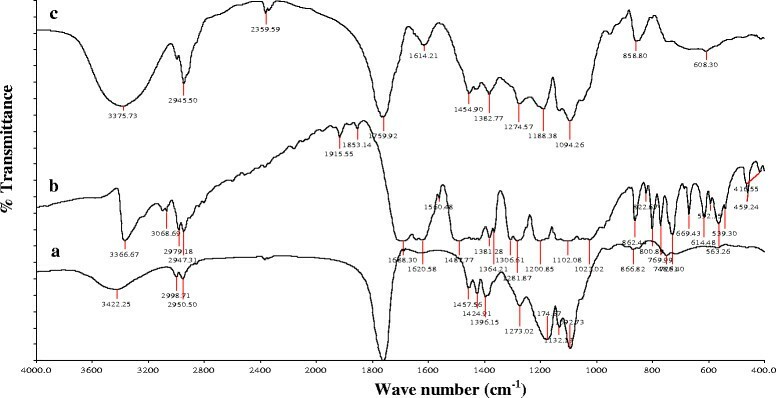 However, the intensity of the peak at 3422 cm−1, 2998 cm−1 and 2950 cm−1 were slightly decreased in the FTIR spectrum of the felodipine nanoparticles . FTIR spectra of (a) Native felodipine, (b) PLGA polymer, (c) Felodipine loaded nanoparticles. The physiochemical interaction of the drug encapsulated and the polymer was analyzed by differential scanning calorimetry. The study was carried out for the pure felodipine, polymer and felodipine loaded nanoparticles (Figure 4). DSC shows the characteristic peak for different compounds. The sharp endothermic peak at ~144°C represents the melting point and crystalline anhydrous nature of native felodipine . DSC thermograms of (a) Native felodipine, (b) PLGA polymer and (c) Felodipine loaded nanoparticles. The drug-polymer composition influences the in vitro drug release rate from the nanoparticles. The felodipine loaded nanoparticles shows biphasic drug release pattern, as the drug encapsulated in the polymeric nanoparticles and some amount of drug adsorb on the surface due to electrostatic interaction . 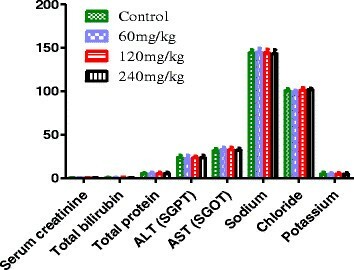 The in vitro drug release profile from prepared nanoparticles, intact drug powder and marketed formulation are shown in Figure 5. The felodipine loaded nanoparticles show slower drug release in comparison with intact drug powder and marketed formulation. The initial burst release of about 45% was observed for felodipine intact powder. This phenomenon was normal in the initial stage of many drug release systems  and it was reduced to 18% for felodipine loaded nanoparticles and also exhibited slow drug release at least 96 h due to the coating of polymer around the drug. In vitro drug release study of felodipine loaded nanoparticles, felodipine intact powder and marketed formulation respectively. Values represent mean ± S.D. (n = 3). The drug release data were fitted with various kinetic models, data not shown. The drug release kinetics of the formulation F2 was pre-eminently explained by zero order and first order kinetic, followed by Higuchi model, as it showed the highest linearity. From the Peppas model the ‘n’ value (0.284) was calculated from the slope and found to be less than 0.5, indicating that the release mechanism from the nanoparticles was diffusion controlled. The felodipine loaded nanoparticles can cross the small intestinal wall by persorption and distributed in various parts of the body . The animals in various treatment groups as well as control group did not showed any mortality throughout the observation period except group V. In the treatment group V all the animals were died within 12 hours after the administration of the dose (480 mg/kg body weight). Throughout the observation period, the animals in group I, II, III and IV did not show any abnormality or behavioural changes (Table 2). Necroscopic examination revealed no gross changes in the vital organs of the animals in the treatment group I, II, III and IV (Figure 6). Biochemical parameters in control and nanoparticle treated group (I, II, III and IV) in wistar albino mice (*p < 0.05). The pathological examinations of different organs of wistar albino mice treated with 240 mg/kg body weight of felodipine loaded nanoparticles were carried out. There was no change in histopathology of glomerulus and tubules of kidney. 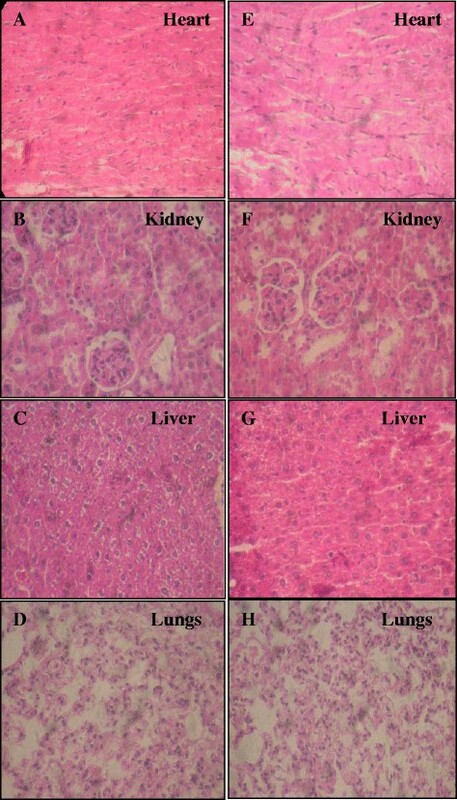 Liver showed normal hepatocytes and absence of necrosis as compared to control group. The pathological examinations revealed that heart, kidney, liver and lungs were not exposed to nanotoxicity after oral administration of the felodipine loaded nanoparticles when compared with control groups (Figure 7). The histopathological slides of wistar albino mice treated with 240 mg/kg body weight of felodipine loaded nanoparticles formulation compared with control. (A-D) Slide shows the heart, kidney, liver and lungs of control mice. (E-H) Slide shows the heart, kidney, liver and lungs of felodipine nanoparticle treated mice. The felodipine loaded PLGA nanoparticles were prepared by single emulsion solvent evaporation method. The particle sizes of the drug loaded nanoparticles are important parameter of the nanoparticles, which has direct impact on drug release, cellular uptake, biodistribution and stability. The drug loaded nanoparticle shows negative zeta potential and the result suggest the external localization of free drugs, adsorbed on the surface of the polymeric nanoparticles . These higher negative zeta potential values reduce the particle aggregation and smaller particle size may facilitate the effective absorption of the drug loaded nanoparticles in the biological systems. The surface morphology of the nanoparticles was studied by SEM and AFM. The electron microscope allows the visualization of the nanoparticle surface, whereas zetasizer measures the particle sizes surrounded by hydrodynamic layer, so it provides larger size than the SEM images . Drug loading and entrapment efficiency were measured by RP-HPLC method and the results show increased entrapment efficiency in F2 formulation having drug- polymer ratio of 1:3 . The drug- polymer ratio was taken into consideration to improve the entrapment efficiency of the nanoparticle systems keeping the other parameters constant, and the result showed that, the increase in the drug-polymer ratio up to 1:4, the entrapment efficiency was almost remained constant. This may be due to the saturation level of felodipine inside the nanoparticles. In the case of drug loading, as it increases a more porous polymeric structure forms, with large number of channels and hollow spaces. The drug can easily escape to the outer phase and decrease the drug inside the polymeric matrix of the nanoparticles . Hence, the nanoparticle formulation (F2) having drug- polymer ratio of 1:3 with highest entrapment efficiency and less particle size was selected and used for the further studies. The FTIR spectrum of the felodipine nanoparticles indicates the chemical stability of the felodipine inside the nanoparticles due to the intermolecular hydrogen bonding between drug and polymer . 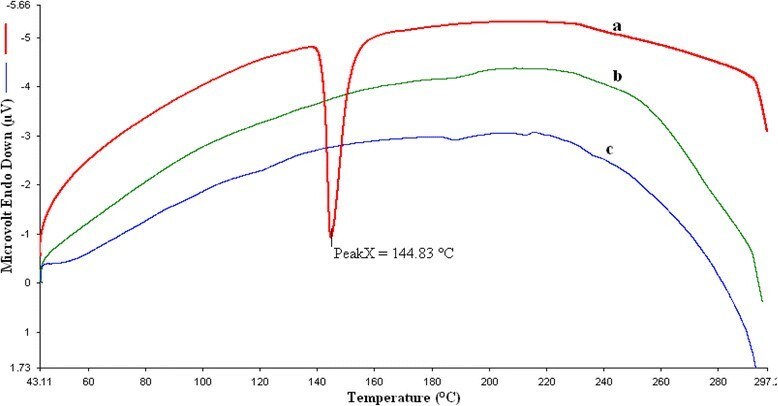 The drug loaded nanoparticles depicted no distinctive peak of the felodipine in the DSC profiles owing to the decreased crystallinity in the formulations and/or drug solvation in the amorphous carrier as well as solid state interaction induced by heating. The in vitro drug release signifies that the prepared nanoparticulate system possess sustained release properties. The initial burst release from the nanoparticles was due to surface adsorbed drug. After 8 h the rapid drug release was identified and this could be as a result of surface adsorbed drug released due to polymer erosion. It suggests that the combination of dissolution, diffusion and erosion are the possible mechanism to release the drug from the nanoparticles. The release kinetics of felodipine from the nanoparticles was preeminently explained by zero order and first order kinetic and it shows release of the drug was by diffusion mechanism . To further explain the in vivo toxicity of the felodipine loaded nanoparticles, the wistar albino mice were treated with various concentration of drug loaded nanoparticles and it was found that no abnormality or behavioural changes in the group I, II, III and IV. The necroscopic examination revealed no gross changes occurred in the vital organs of the animals after the treatment. Similarly, the pathological examination of the different organ of the treated animal shows no change in histopathology. Thus the felodipine loaded nanoparticles were found to be orally safe at the single limit dose equivalent to 240 mg/kg body weight of felodipine. Felodipine loaded nanoparticles were prepared successfully by applying emulsion-solvent evaporation technique. The nanoparticles were formulated in reproducible methodology and were able to improve the physicochemical characteristics of the native drug. The DSC study confirmed that there was no intermolecular interaction between the felodipine and PLGA. The prepared drug loaded nanoparticles showed slow release of the drug with the reduced burst release in comparison with intact drug powder. The various toxicity studies indicated the oral safety and the cellular safety of the developed felodipine loaded nanoparticles. These results may prove to be beneficial for the prolonged utilization of the formulation as an adjuvant anti-hypertensive therapy. Thus, the felodipine loaded nanoparticles may provide an effective drug delivery system for the hypertension therapy. Utpal Jana is grateful to University Grants Commission (UGC), Government of India, for providing UGC-BSR fellowship. All the authors are deeply indebted to Dr. K. Kanann, Professor and Head, Department of Pharmacy, Annamalai University and Dr. R. Manavalan, UGC-Basic Science Research Faculty Fellow (UGC-BFF), Govt. of India, for kind support. UJ synthesized and chacterised the drug loaded nanoparticles, participate in animal experiments and drafted the manuscript. AKM helped in performing the characterization of nanoparticles and drafted the manuscript. SLP helps in animal experiment and biochemical parameter estimation. PKM and GPM scrutinized the results, helped in histo-pathology slide preparations and final cheek up of drafted manuscript. All authors read and approved the final manuscript.